Hey ever heard of Santana?… If you’re between 35-45 you should have… Santana was all I knew about Cuba until 10 days ago…Hear Santana and his guitar here ignore the singers… Just the guitar (genius)! Holla Ombre e Senora, buenos tardes ! He is bringing a Cuban dessert. Not sure what that going to be… I CANNOT stand uncooked desserts like cheese cakes and the likes and I really hope it is something that my face and my mouth would appreciate… Unfortunately for me, my face tends to speak for me even when I don’t want to say what I think. Just in case you are wondering, here what the flag looks like! turned out to be very educational read-up about the Cubans, their origins and colonial past… All that reflected in their food. I will do my best to interpret it as I understood it. I didn’t really want to copy a recipe and the WIKI page was very very helpful https://en.wikipedia.org/wiki/Cuban_cuisine. So the menu I came out with reflects their African origins where the old slaves came from, the Spanish origins for their colonial past and then, the West Indies which they are often referred to as despite being South Americans. Cuban speak Spanish… Of course. Duhhh! Since we are cooking on a budget, I sadly had to avoid fish stuff as my £10.00 would have been very quickly spent. Ropa Vieja (old clothes) with black olives and sweet peppers served with something cooked in fresh corn leaves. I will just be using the corn leaves here… this is what fresh corn looks like. All dressed up. Do tune in to hear what we’ve both cooked and do come back here to see the recipe next week. Thank you for checking in! And remember a recipe is only a suggestion… you do not have to stick to it. JUST EXPLORE and have fun! Here it is! Listen to the show’s podcast from here. 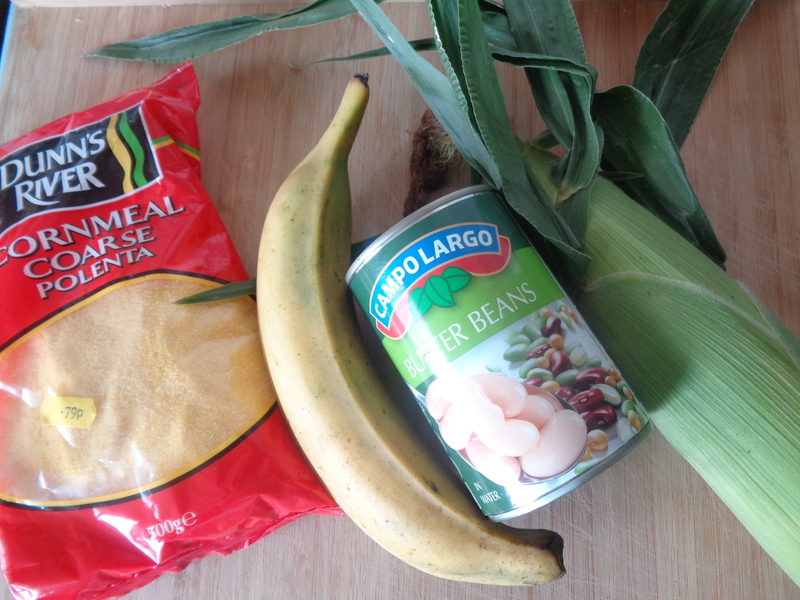 This entry was posted in Croydon Radio, Mains, Starters and tagged Africa, Corn, Cuba, plantain, Spanish. EAT. FOOD. Bookmark the permalink.